I studied Classical Homeopathy at the International Academy of Classical Homeopathy (UK Branch) in London and I subsequently qualified as Homeopath. I hold the Diploma of the International Academy of Classical Homeopathy (I.A.C.H.). 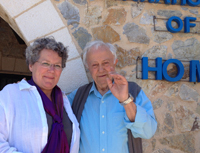 In addition to my homeopathy training in London I have been studying with Prof. George Vithoulkas at the International Academy of Classical Homeopathy in Alonissos since 2006. 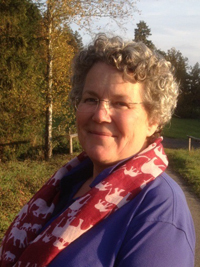 Prof. Vithoulkas is the world’s leading homeopath and teacher, who received the Right Livelihood Award, also known as the Alternative Nobel Prize, in 1996 for upgrading Classical Homeopathy to the standard of a science . I continue my professional training on a regular basis in Greece, Germany and India. Predictive Homeopathy® developed by Dr. Prafull Vijayakar combines his knowledge of the modern medical sciences (particularly genetics, embryology, physiology, psychology and biochemistry) with the knowledge of Classical Hahnemannian Homeopathy. I have attended Clinical Workshops in Mumbai in 2015 and 2017. 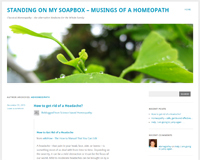 I am registered with the Alliance of Registered Homeopaths (ARH) and a Member of the Register of Homeopaths. are committed to continuing professional development.